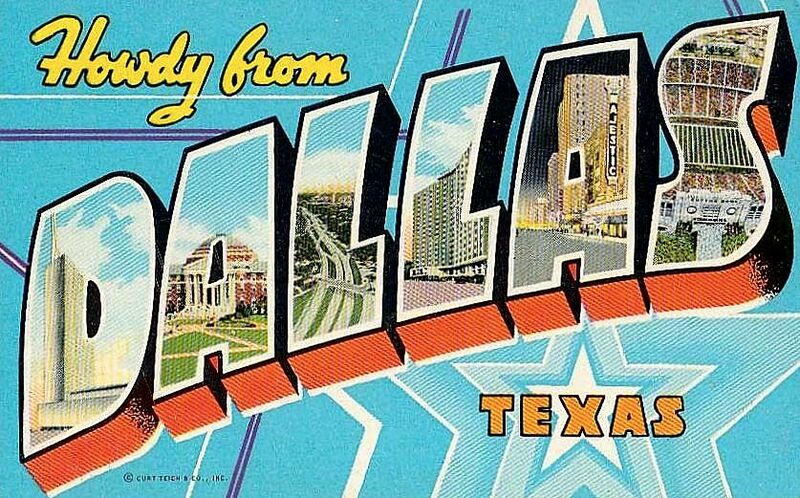 “Howdy,” from the home of the Republic Bank Building, SMU, North Central Expressway, the Statler Hilton, the Majestic Theatre, and the Cotton Bowl. Also, “howdy” from me, along with a notice that I have begun the long, arduous task of migrating files from one big cloud to another big cloud. This will be a problem only for those who might have bookmarked PDFs or some of the photos or files I’ve linked to. This won’t change URLs for individual posts, because if that were the case, I’d be sobbing uncontrollably in a padded cell, trussed up in a straitjacket, unable to do necessary things like TYPE. So … it could be worse. This will probably affect very, very, very few of you — I, on the other hand, will be absorbed in this tedium for quite a while, rushing against a deadline. Please don’t hesitate to bring broken links, etc., to my attention. And if you’ve lost something formerly bookmarked, let me know, and I’ll help you find out where it’s living these days. I feel like a Dallas native. I have a personal connection with each of the six landmark shown.